The Big Laurel River runs directly in front of the Riverbend Cottage. The river has class 3/4 rapids at points. There is an old train bed that follows the river all the way to the French Broad River. 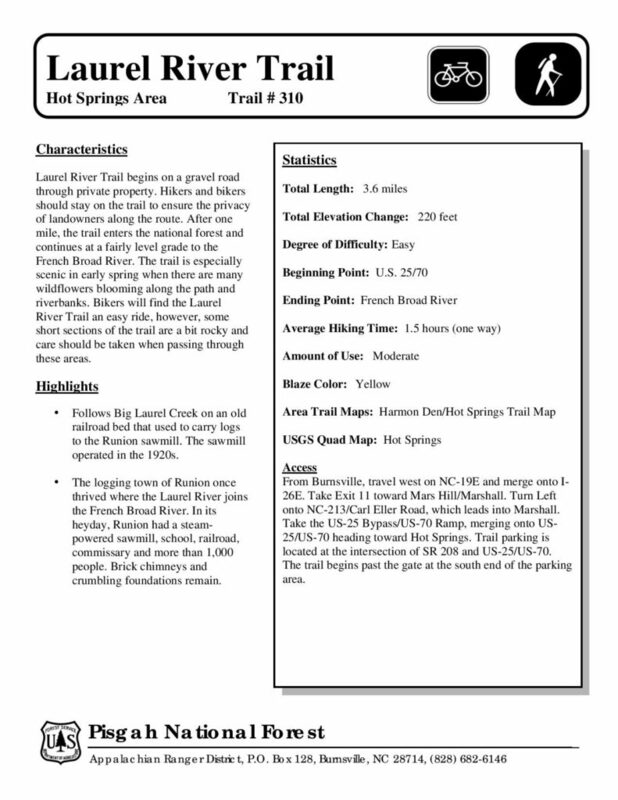 The trail is a fairly level grade and easy to hike for all ages. The trail is especially scenic in early spring when there are many wildflowers blooming along the path and riverbanks. The old railroad bed used to carry logs to the Runion sawmill which operated in the 1920s. The logging town of Runion once thrived where the Laurel River joins the French Broad River. In its heyday, Runion had a steampowered sawmill, school, railroad, commissary and more than 1,000 people. Brick chimneys and crumbling foundations remain.